We are never free until we have no need to impress other people. Don't just pray for God to open doors, pray for God to close doors in your life that need to be closed. When we keep God in first place, everything else falls into place. Joy will flow in our lives when we get our eyes off of ourselves and onto Jesus off of what is wrong with us and onto what is right with Him. God cares about everything that concerns you, so feel free to talk to Him about anything. Always remember that no matter what you have lost, you still have a lot left and God has a purpose yet to be fulfilled in your life. As you work through your grief, you may have times when you simply need to get your mind off of what you're going through because you have done everything you can do about it; there is nothing else you can do except wait for the full healing to come. The best way to cooperate with God's healing work in your soul is to go find other people who are hurting and be a blessing to them. New Updates! (4/26/2019) We've been working really hard on completing our membership system so you can submit quotes and keep track of them. Once this is complete in the coming weeks there will be a lot more quotes by Joyce Meyer and other authors. 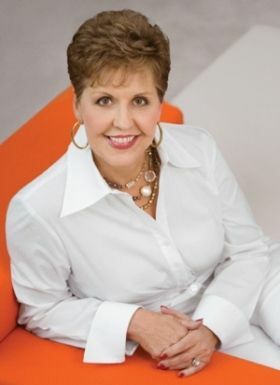 We've also changed the sorting on the site so you now see the latest Joyce Meyer quotes first. Our goal is to have the best Joyce Meyer quotes on the web!